You might think giving students, staff and faculty access to good, healthy food via a weekly farmers’ market would be a real no-brainer, but not so. 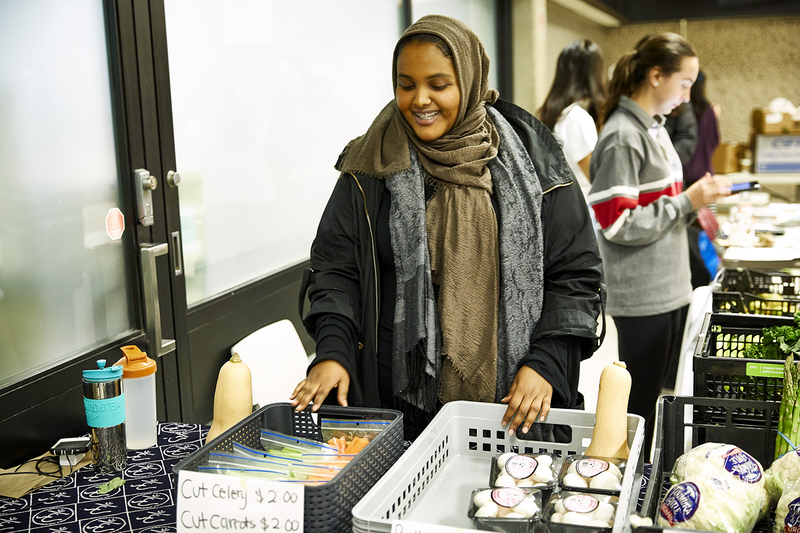 “It was hard getting the concept off the ground,” says Shadiya Aidid (BES ’16), founding manager of York University’s farmers’ market and a graduate of the Environmental Studies program who oversaw the market for two years following its launch in 2013. But one deemed to be worth the effort because it answered a long-standing demand for a retail marketplace that would sell fresh-from-the-farm produce to the York community. 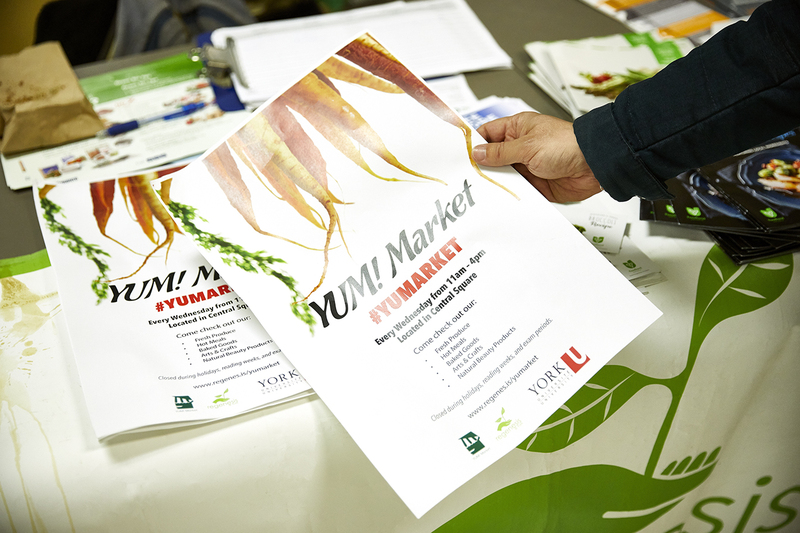 Spearheaded by Regenesis, the award-winning student environmental group, York’s farmers’ market is overseen by York Food Services and three faculty advisers: Elizabeth Brulé, from the Department of Equity Studies, Jennifer Foster, from the Faculty of Environmental Studies, and Anna Hudson, from the School of the Arts, Media, Performance & Design. Open every Wednesday from September to April, with a couple of breaks for the holidays and Reading Week, YUM! – as this indoor market is affectionately called – regularly hosts between eight and 15 vendors at its Central Square location. Offerings include fresh produce, hot food, gluten-free and vegetarian fare, local honey and baked goods. 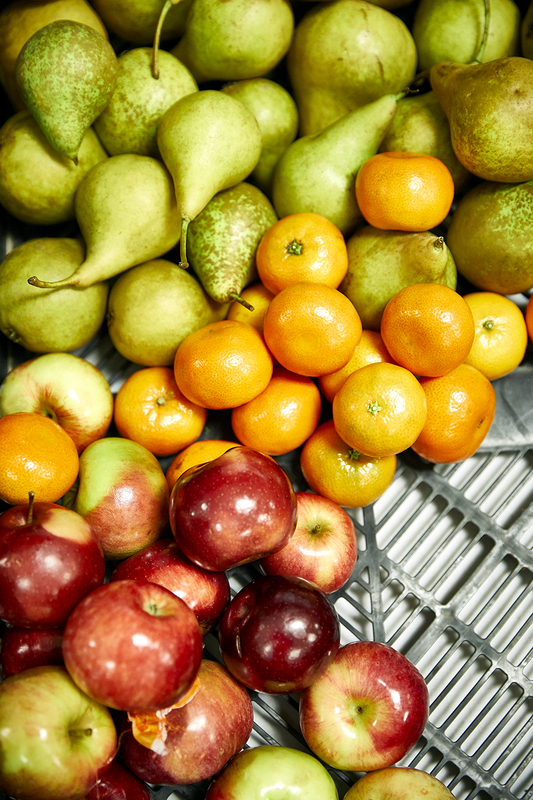 A second pilot project recently launched at the Glendon Campus with more vendors added. But farmers’ markets represent but one of a myriad of green initiatives now proliferating at York. The University has maintained that status for six consecutive years, supported by an impressive list of environmental initiatives and programs, among them the Green Office program; the Sustainability Ambassadors program; Campus Clean Up Days; the Institute for Research & Innovation in Sustainability; green roofs on both the Petrie Science & Engineering Building and the Bergeron Centre for Engineering Excellence; the President’s Sustainability Council; and the Energy Management Program, which has cut back the University’s electricity consumption by 25 per cent, to name just a few. The University also actively engages in sustainable food growing practices, including the raising of honey bees on campus and the creation of the Maloca Community Garden, established in 1999 by the Faculty of Environmental Studies. Located at the south end of the Keele Campus, with about 2,000 square feet of individual and communally worked garden beds, the garden is where students, faculty and local members of the public can grow organic fruit, vegetables, herbs and flowers while nurturing a sense of family and community. To help tackle food insecurity indoors, York’s Food Services has installed an Urban Cultivator – a fully self-contained indoor growing system – at Stong College. Overseen by Abdel Belkadi, York’s executive chef, the Healthy Kitchen at Stong harvests kale as well as other leafy greens used for making smoothies at the campus’ Booster Juice location. 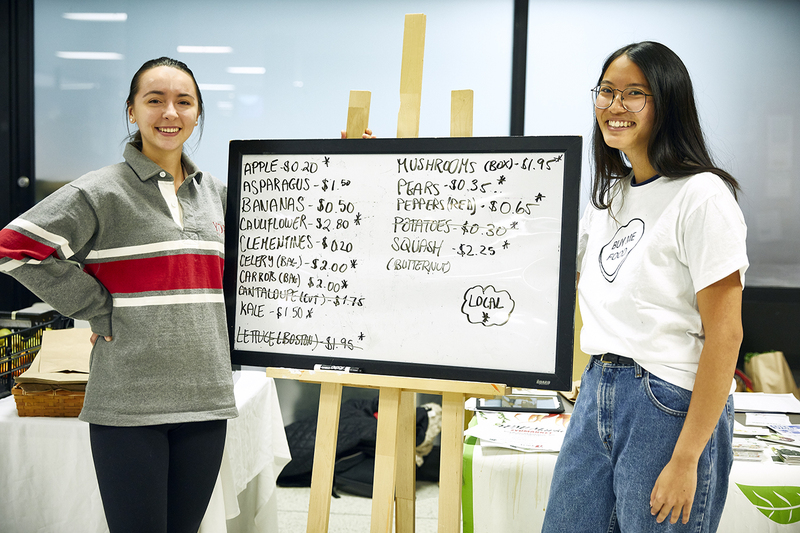 Furthering the cause of healthy eating, the newly opened Second Student Centre comes with a state-of-the-art catering kitchen supporting the Campus Meal Club, the University’s first-ever healthy food ordering and pickup service run by students online. So, while nutritious and sustainable may always have to jockey for space with the many fast-food options on campus, healthy, local food choices are increasingly available. The raw goods are growing. At York’s ET AL., a faculty and graduate student café and pub, Chef Rebecca Russo is taking food sustainability to the next level. The dishes she serves up at this 83-seat eatery located in the Ross Building and open since last year are healthy, fair trade, local and sustainable, and the business is run democratically – a rarity in the food industry. Members of the co-operative pay a small annual membership fee that gives them the right to vote on the menu. It’s a café and kitchen run by committee, a situation which threatens to support that old adage of too many cooks spoiling the broth. But while spicy at times, the communal interaction is why this novel initiative has bite. “While it can be cumbersome at times,” Russo says, “I’m very lucky to work with like-minded folks, all with a true passion for social justice and making positive change.” S.L. WHEN AMAZON ACQUIRED Whole Foods for $13.4 billion in June 2017, it jump-started a grocery retailer race to the web that led Ran Goel (BBA ’02) to run in the opposite direction. 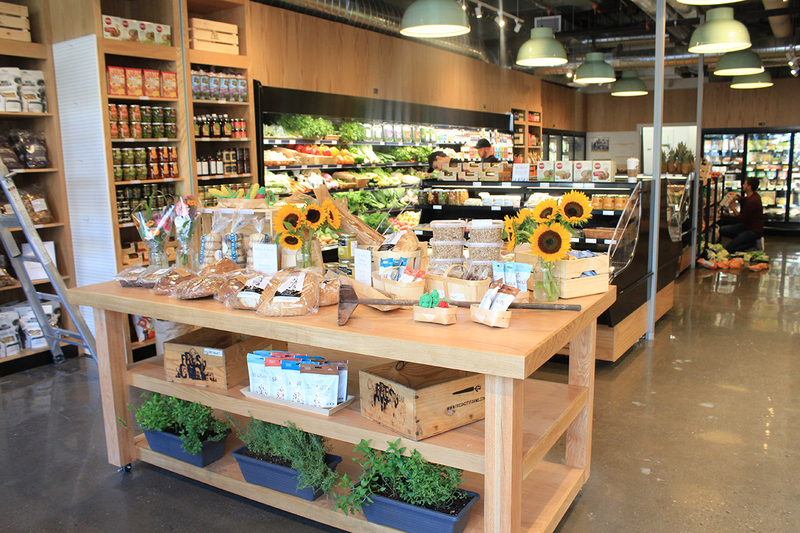 Seven years after launching his Fresh City Farms organic grocery and meal delivery company in 2011, the Schulich School of Business alumnus expanded to bricks and mortar, opening a curated 500-square-foot retail space in Toronto’s Roncesvalles neighbourhood last spring, followed by one four times bigger on Ossington Avenue, just north of Queen Street West, in August. Eventually, Goel is aiming to have a store in every key Toronto neighbourhood – a strategic move stemming from a desire to make high-quality, healthy food affordable and accessible to as many city dwellers as possible. 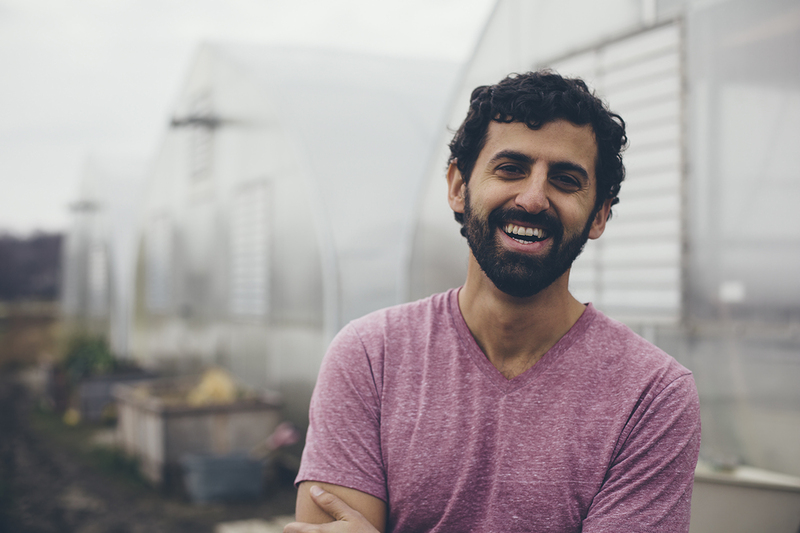 “I never saw us as an online grocer,” says the 38-year-old founder and CEO, a former Wall Street lawyer who credits the late Schulich Professor Emeritus Wesley Cragg for inspiring his ethical approach to business. Can thousands of students design a building? Yes, and under budget, no less!